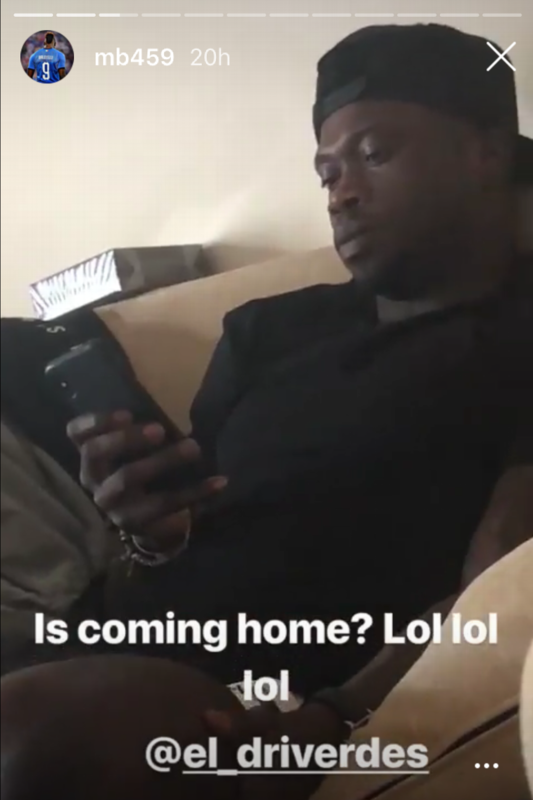 The former Manchester City and Liverpool forward posted an Instagram story of him watching the game with a friend, and the final picture he posted conveyed a message to the England fans who he accused of spoiling his two spells in the Premier League. 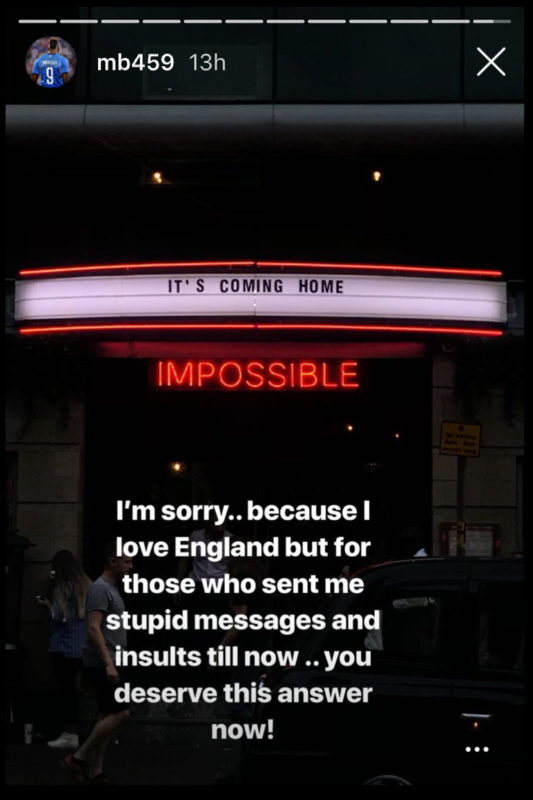 "I'm sorry.. because I love England but for those who sent me stupid messages and insults till now .. you deserve this answer now," he wrote under a picture of a sign saying "It's coming home" -- a popular chant among England fans at this World Cup taken form the 1996 anthem "Three Lions" -- followed by the word "impossible" in a red neon light. Balotelli, who is reportedly attracting interest from Marseille, spent three years at Manchester City, winning the Premier League title with them in 2012. A subsequent spell at Liverpool did not live up to the expectations, however, and he returned to AC Milan on loan in 2015 before joining Nice a year later. He has since rediscovered some of his best form in Ligue 1 and made his return to the Italy national team for the first time since 2014, scoring in a friendly against Saudi Arabia in May. Italy did not qualify for the World Cup, losing to Sweden in a playoff for which Balotelli was not selected.